The picturesque city of Lublin in Poland is replete with quaint old world architectures, natural resplendence and plenty of modern touches too. 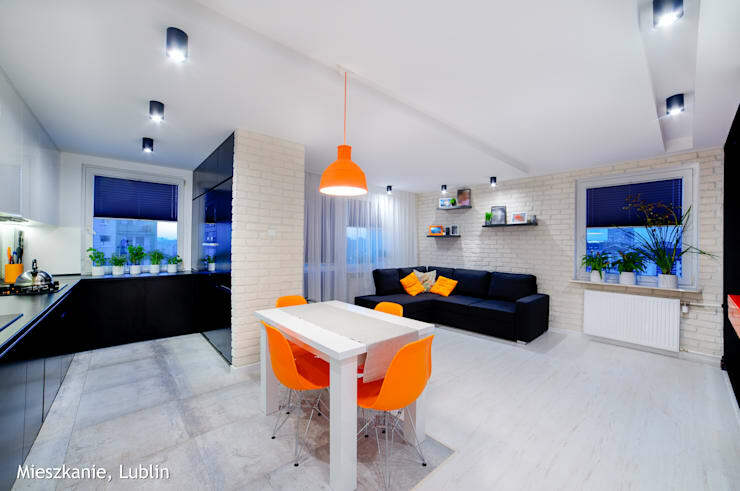 And contemporary ideas are especially finding their importance in the urban apartments in Lublin, since you will come across a number of old and drab residences which are being given spirited makeovers currently. The transformation that we are about to witness today is particularly incredible and stunning, and the credit goes to Auraprojeckt, a group of interior architects. The apartment which was once a style disaster is now a vibrant and lively space oozing with openness and modernism. Read on to find out how peppy colours, intriguing textures and clever layouts can change the aura of a home. The old wooden cabinet along with the non-descript wooden flooring made the living room dreary and unwelcoming. There were too many things jostling for space both inside and outside the cabinet, and the ambiance was utterly old-fashioned. The depressing hue of the sofa says it all, doesn’t it? With hackneyed drapes and an indoor plant, which used to droop with boredom, the living space was crying out for something more cheerful and sharp! 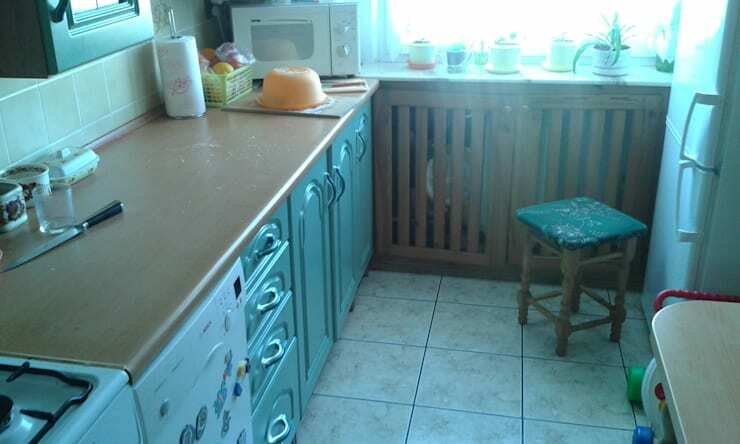 The ordinary and cramped kitchen with its dated cabinets and plain Jane flooring was a boring place which provided zero motivation for cooking delicacies. The space was cluttered and the appliances were bulky and got in the way. The window ledge sported potted plants, but the refreshing touch it introduced hardly received any focus. An open and cleverly integrated layout along with loads of pristine white has incredibly transformed the atmosphere of the apartment. A brick wall separates the kitchen from the living area, while energetic pops of colour dot the space with enthusiasm. Bright focused lights have enhanced the crisp chirpiness of the interiors, and the available space seems so much more breathable. The dining nook especially with its bold orange chairs and quirky pendant light steals the show. The all white living area stands out owing to many reasons. The brick finish wall behind the dark blue couch, the vibrant cushions, the floating shelves holding family photos, and the sensuously sleek fireplace come together for an experience you will not forget in a hurry. 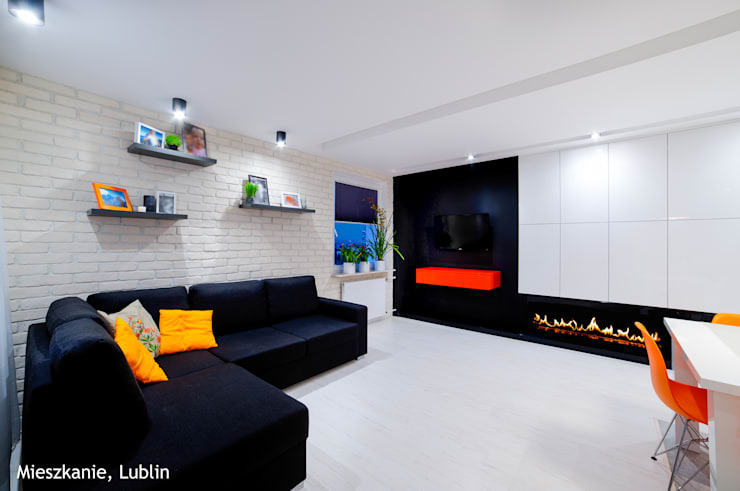 Glossy white cabinets line the space above the fireplace, while a striking orange structure supports the TV. Potted plants on the window sill offer natural charm aplenty. It is hard to believe that this kitchen once looked like a sad and dreary place, where cooking was a dull ritual rather than an enjoyable adventure. 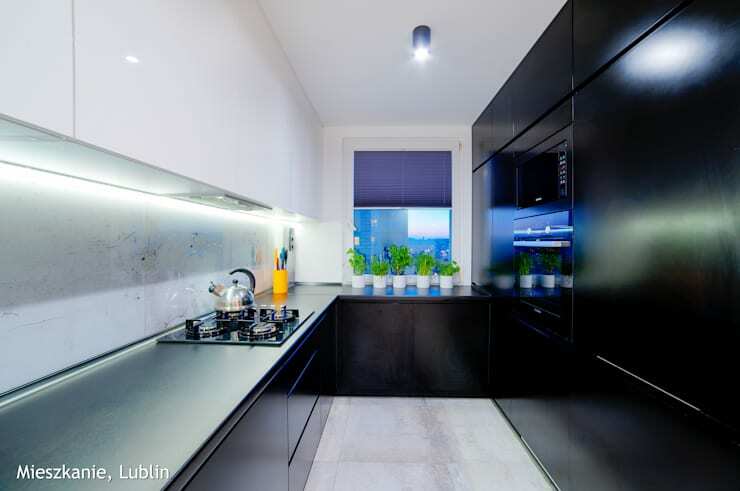 Done up mostly in black and white, the kitchen is now a sleek space with neat counters, ultramodern appliances and ample space to move around. Lush potted plants line the windows edge and happily greet the sunlight which floods the room during the day. The makeover we just witnessed seems magical, doesn’t it? But with a little planning, innovation and incorporation of the right designs, colours and textures, it is evident that a stunning revamp can be achieved. 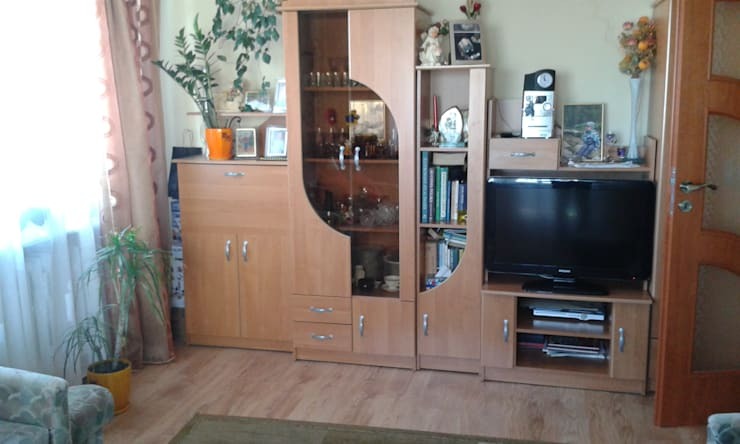 Take a look at another before and after story for more ideas - Boring to charming: the pretty makeover of a Polish apartment.